Oreo Balls are a homemade candy truffle where the center is made of crushed Oreo cookies and cream cheese. Use this Oreo Balls recipe to make these delicious no-bake treats! When I first saw Oreo truffles, I was immediately intrigued. Sandwich cookies are one of my kids' favorite cookies and these no-bake candies were so incredible. 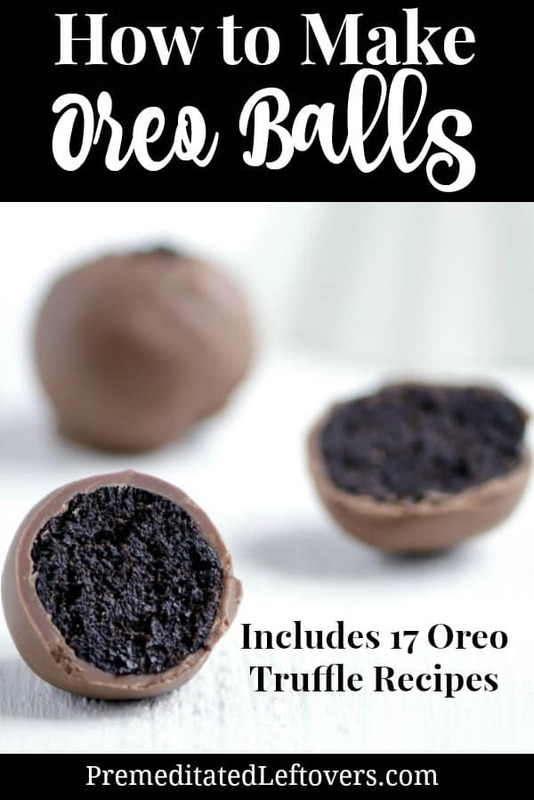 Years later, the basic Oreo Balls recipe has inspired so many more recipes with different flavors, decorations, and unique combinations. They are so simple to create and yet, they always have that “WOW” appeal when you make them for a party favor or hostess gift. Oreo Cookie Balls (as they are also known) are a perfect addition to any gathering or holiday. You can make Oreo cookie balls with just a few ingredients: Oreos, cream cheese, and chocolate chips. And the best part is they are No-Bake! While there isn't any baking required. You will need to freeze the Oreo balls before dipping them in melted chocolate and then chill the truffles. 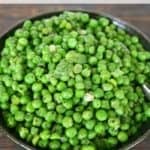 They are easy to make, but you do want to figure in the chilling time when making them ahead of time. Once you get the hang of it, it won't take long before you are coming up with your own unique Oreo Truffles! 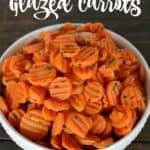 There is a printable recipe at the bottom on this page. Add the cookies to a blender or food processor. Close the blender or food processor, and pulse the cookies for a few seconds at a time until the cookies are broken down into fine crumbs. Spoon the crushed Oreos into a medium mixing bowl. Add the cream cheese. Stir until the cream cheese is completely blended with the crushed Oreos. Shape into 48 (1-inch) Oreo balls. Freeze the balls for 10 minutes. While the cookie balls are freezing, melt the chocolate according to the package instructions. Dip the chilled balls into the melted chocolate. Place the balls in a single layer on a waxed paper-lined baking sheet. If you wish, sprinkle the cookie balls with cookie crumbs, sprinkles, nuts, or nonpareils while the chocolate is still soft and warm. Refrigerate the Oreo Balls for 1 hour or until firm. Store in a sealed container. You can store Oreo Balls in your refrigerator for up to 2 weeks or up to 3 months in the freezer. 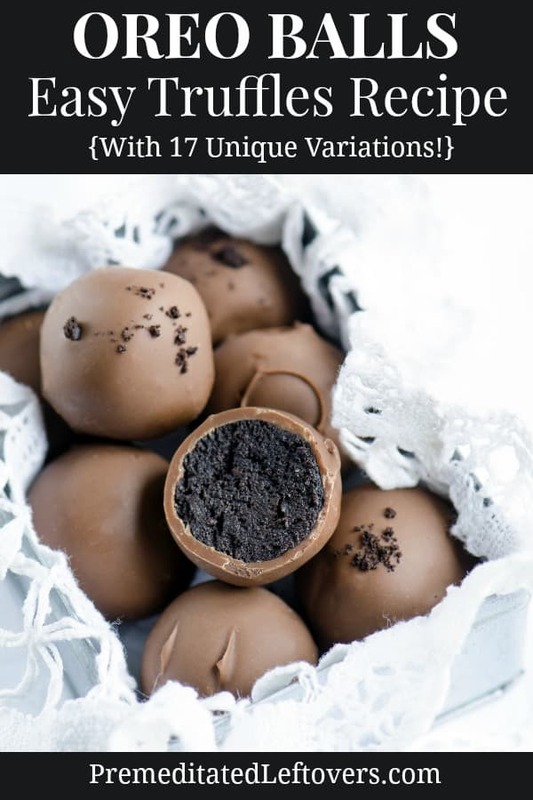 For your own Oreo balls recipe inspiration, here are some of the best Oreo Truffles recipes I've found. 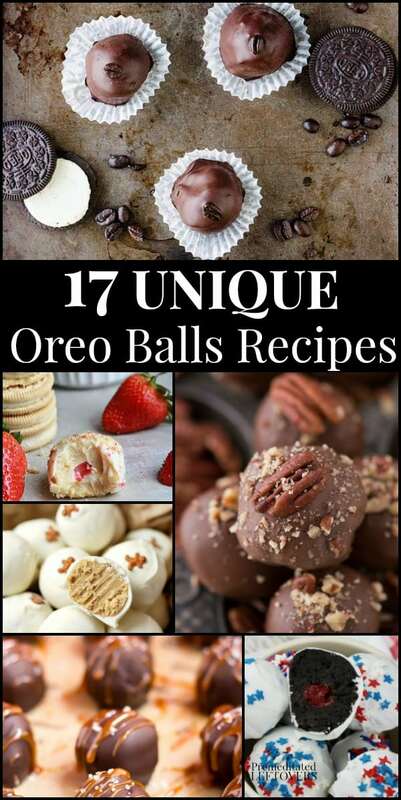 Try one of these recipes for your next party or use them as inspiration to create your own unique Oreo Cookie Balls variation. These Cherry Stuffed Oreo Truffles are perfectly patriotic for your Independence Day get-togethers. However, you could also top them with heart candies for Valentine's Day. Try these Red Velvet Oreo Truffles from Life Love Liz for a delicious way to enjoy this treat with the classic chocolate taste. If you like strawberry shortcake, you will love these Strawberry Shortcake Stuffed Golden Oreo Truffles from Life Made Sweeter. This would be perfect to make as a summer treat. Nothing beats something with the taste of salted caramel. These decadent Oreo Cookie Balls with Salted Caramel Sauce from Culinary Hill will really hit the spot. Peanut butter and chocolate really go together like nothing else in my opinion. I can’t wait to try these Easy Peanut Butter Oreo Balls from It’s a Keeper. Snack Works really got creative with their recipe for Raspberry Oreo Cookie Balls. This one sounds like I need to give it a try. The first time I tried turtles (the candy, not the animal!) I was 5 years old. The nuttiness and caramel gooeyness of them had me hooked. That’s why I am going to make these Turtle Oreo Balls from The First Year. You’ll be happy to have this recipe for 5 Ingredient Halloween Oreo Truffles from Chelsea’s Messy Apron when the holiday rolls around. If you are a fan of dark chocolate, you can make your Oreo balls this way, too! Just follow the instructions at Honey and Lime for Dark Chocolate Oreo Balls. Cooking a la Mel has something for coffee fans out there; Mocha Oreo Cookie Balls! Nutella has an almost cult following so if you are in that group you will love these Nutella Truffles from Sugar Spun Run. If you are feeling a little overloaded with chocolate so far, check out these Lemon Oreo Truffles from Simply Kierste Design. They are sure to be refreshingly different. 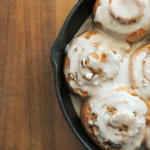 Boston Girl Bakes also has a cute little take on these sweet treats. Check out her recipe for No-Bake Funfetti Golden Oreo Truffles. No list of chocolate recipes would be complete without one that includes the combination of mint and chocolate. Here’s a great recipe for Mint Oreo Truffles from Deliciously Sprinkled. Alida’s Kitchen combined sweet and salty with her recipe for Pretzel Oreo Cookie Balls. The pretzels are in the balls themselves and sprinkled on top! Take advantage of season Oreo cookies to make unique Oreo balls like these Gingerbread Oreo Truffles! Finally, I had to add a recipe for white chocolate lovers! Cravings of a Lunatic has an easy recipe for White Chocolate Oreo Balls to make.